Angelo Persichilli (15 February 1939, 15 January 2017). 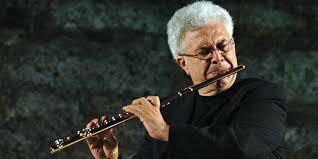 He studied at the Conservatory of Santa Cecilia in Rome where he graduated with honors and honors. 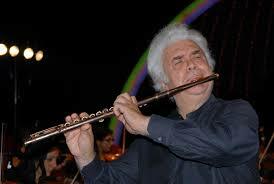 Since 1958 he has been the first soloist flute of the Orchestra of the National Academy of Santa Cecilia for forty years. 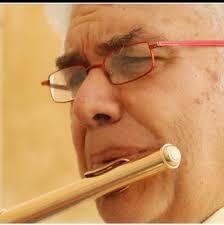 He has recorded for RCA, Fonit Cetra, Frequenz and Edi-Pan. He also dedicated himself to the rediscovery of music of the past, finding, in 1978, a concert of Mercadante at the Library of the Conservatory of San Pietro a Maiella in Naples, which he then performed in the first modern shooting with the Orchestra of the National Academy of Santa Cecilia under the guidance of Riccardo Chailly. Together with Carmelo Bene he obtained a great success with Bruno Maderna's Hyperion in Milan (RAI) and in Rome (Santa Cecilia). Francesco Pennisi dedicated a concert to him that he performed with K. Martin in Turin and with Gabriele Ferro in Palermo. He has carried out an intense concert activity, playing with the most important Italian and international symphony orchestras under the guidance of Maag, Gavazzeni, Gatti, Spivakov, Abbado, Renzetti. He was artistic director of the Roman Polyphonic Choir Association at the Oratorio del Gonfalone in Rome from 1991 to 2011.